Home » Entertainment » Divyanka Tripathi is over the moon! Divyanka Tripathi celebrated her first karwa chauth this year and she is over the moon about her experience. 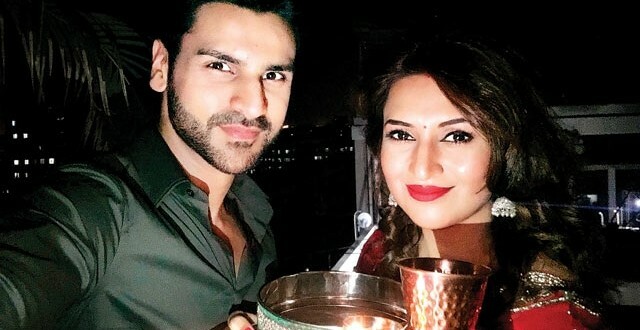 Her husband Vivek Dahiya may not have fasted with her, but the love and care he showered on her throughout the day was enough for Divyanka to hold the vrat for a lifetime. In the evening, when it was time to break the fast, Divyanka and Vivek waited together for a glimpse of the moon. They landed on Marine Drive where they thought they could sight it sooner. “But to our surprise, we couldn’t. Then, we looked at the compass according to which the moon would be sighted in the east and not west. It was 9.30 pm by then and Vivek was feeling hungry, but he couldn’t complain because I had fasted the entire day! We went to a nearby hotel and asked them if we could go on the terrace. They agreed and we finally saw the moon,” laughs Divyanka.